Rugby is a good game, sure… and a good game brimful of goodness. Of all the major team sports, can there be a more consistently generous one than rugby? Think of any rugby club you know – from the superior and snooty to the parish-pump piffling – and it would be a major shock-horror surprise, wouldn’t it, if it was a club which wasn’t sponsoring, bolstering or encouraging some good and worthwhile charitable concern, cause or crusade? The rugby ethos fosters and warmly cherishes an inbuilt philanthropy and good neighbourliness. Rugby and charity – you can’t have one without the other. The good Samaritan is a permanent player on every rugby team sheet. Down almost a century and a half we’ve known how rugby has made great men achieve great things on the field. As well rugby makes great men achieve great things off the field – just think of true greats like Cliff Morgan, Tony O’Reilly, Andy Ripley and Lawrence Dallaglio, and think of their charitable works and the zillions they’ve raised. And now think, too, of Richard Parks, the former Wales flanker forced to retire from rugby, who has been spending 2011 attempting a dramatic world first, the 737 Challenge in which he aims to conquer the seven mountain summits of all seven continents as well as reach the three poles – North, South and the roof of the world, Everest. Some journey, some ambition – and all for Marie Curie Cancer Care. As bold Richard was confronting his self-imposed epic challenges, it goes without saying that the rest of rugby was deeply committed to its own non-stop myriad of charity works big and small… from tens of thousands of club events for local worthwhile causes the world over to the established global goodness of the Wooden Spoon charity, founded cheerfully in 1983 on the back of another dismal England loss in Dublin. It was when Parks knew his shoulder injury was so chronic that he had to give up playing that, adrift and sorry for himself, he came across a book by veteran explorer Sir Ranulph Fiennes. Before he had finished it, Richard was depressed and downcast no longer – but was already formulating his gripping expedition – and all against a seven-month clock! To climb his final peak, Mount Elbrus in Russia, he has booked as his partner inspirational author Sir Ranulph. 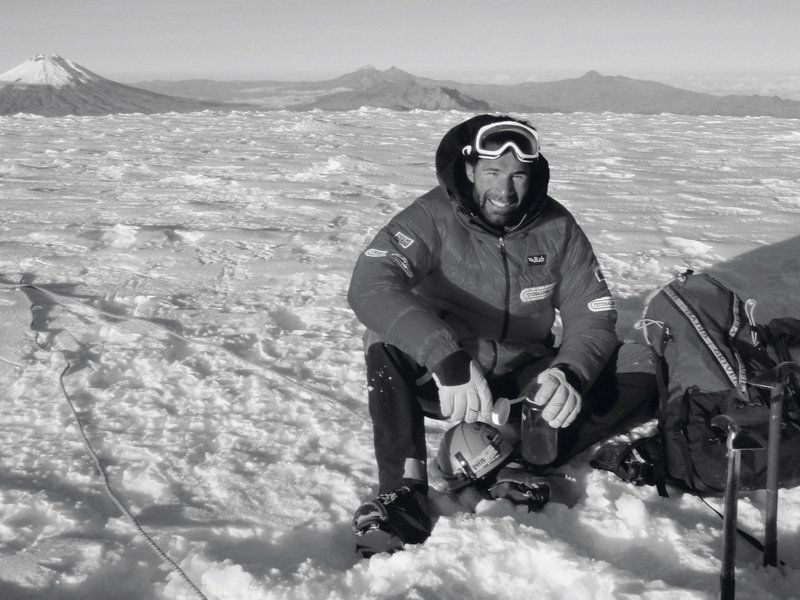 Double Olympic medallist rower Steve Williams had accompanied him on the North Pole and Everest legs, and he’d been joined up Kilimanjaro by Marie Curie nurse Jan Stuart. A popular Test and club player, ‘Parksy’ was also a notable Barbarian –and it’s the Baa-Baas I think of as pioneers of rugby’s great charitable tradition from the time in 1948 when the Wallaby tourists, who had so flamboyantly and generously re-established peacetime rugby here, found themselves unable to return home. All passages on ships were full via Suez or South Africa – so the Baa-Baas organised their first farewell Cardiff match for a touring team and 50,000 turned up to ensure the Wallabies could afford the far dearer Atlantic-Pacific tickets via Canada and British Columbia. Happy days. When it comes to rugby, charity begins at home. This article appeared in the July 2011 issue of Rugby World Magazine.